Want to lose weight, well there are 7 strategies you have to do to psychologically and physically set yourself up to lose weight! 1. Organize Your Home: A disorganized home can interfere with achieving your health and fitness goals. Assess the mess in your home by going through every room and decide what needs to be dealt with (purge too), and then figure out a way to keep it organized permanently. 2. Shop Healthy: Stop buying junk foods and replace them with high-quality nutritious foods. You’ll ultimately save on those doctor bills because you will get healthier. Cut costs by creating a weekly meal plan for breakfasts, lunches, and dinners, as well as snacks, and then tally up the ingredients you’ll need and prepare a shopping list. 3. Cook and Prepare Meals in Advance: If a busy schedule is keeping you from making homemade meals, knowing that there is already something healthy in the fridge or freezer that you can simply reheat will help you resist fast food or other unhealthy dining options. Cook a few meals in advance each week to serve midweek or later. Soups, casseroles, and stews made with lean protein and plenty of vegetables and they can be frozen and used later on. I cook things on Sunday and have them throughout the week. 4. Take Time to Eat at Each Mealtime: Taking the time to savor your meals can actually aid your weight-loss. When you sit down to enjoy what you’re eating, thinking about every bite, you’ll feel more satisfied and eat less. Mealtime is also designed to give you a break from your hectic schedule and allow you to catch up on what’s happening in the lives of your family and/or friends. This is also good role modeling for your children. 5. Healthy Snacks: Regular mid-morning and mid-afternoon snacking can be a challenge, particularly when you’re on the go. But with some planning and preparation, you can put together a healthy assortment of snacks to help curb your hunger and prevent cravings. Bring a bag containing healthy options like part-skim mozzarella cheese sticks, chopped veggies, low-carb protein bars or shakes, measured out nuts or nut butter, hard-boiled eggs, and/or lean deli meats. 6. Prioritize Consistent Exercise: I have classes and incorporate them into my weekly calendar. I think of it as like going to my second job. I just do it. Regular exercise can help keep your metabolism revved so you lose weight faster. In addition, exercise can also help prevent the onset of diseases, such as heart disease, cancer, and diabetes, by reducing belly fat, high cholesterol, and high triglycerides. Get at least 20 minutes of either cardio conditioning or core-strengthening exercise on most days of the week. But you should also aim to move more every day. The smallest movements add up and will improve your weight-loss results. 7. Get Sleep! You can never be truly healthy if you don’t get enough quality sleep. Recent studies show that people who sleep less tend to weigh more. Being sleep-deprived can also increase your risk of diabetes, heart disease, and other health problems. Also, if you are groggy throughout the day, you are more likely to snack and therefore, mess up your diet. If you continue to have trouble sleeping, see your doctor about assistance. Try taking herbal supplements and turn off the electronics a good 30-60 minutes before bed. The light from these items can affect your sleep. My rules are different from this, but since it was on a medical website, I thought I would post it. It has some similarities to my plan (mine is counting carbs), but this one does have you eat a snack every few hours. 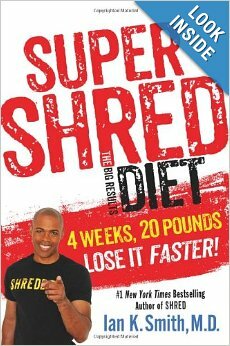 It is called the Super Shred Diet. Claim: Lose 20 pounds in 4 weeks. 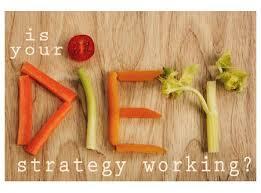 On my diet, which becomes a way of life and is not a fad diet, you lose about 10 pounds per month, but it is healthy. Shred: In a nutshell: An example schedule. You eat every 2-3 hours. In the example: Eat one hour after you get up and then every 1 1/2 hours. At your 11:30 snack, you wait to eat for one more hour again, then 3 1/2 hours later and then 3 hours later. breakfast consisting of one piece of fruit (an apple, raspberries or strawberries), and a choice between oatmeal or 2 egg whites. One cup of water and one cup of green tea or hibiscus tea are “musts” for the morning, and a cup of coffee (with no more than one packet of sugar or one tablespoon of milk) is optional. A few hours later, the participant can eat a snack, such as a granola bar, grape tomatoes, or fruit. and meal 3 is a large green salad. Finally, dinner has to consist of two vegetable servings, as well as a 5-ounce piece of protein such as lean beef, chicken, or turkey. You don’t have to eat perfectly, just eat better. The diet even includes diet sodas such as Diet Coke, and a piece of bacon along with one pancake . In the fourth week, there are two slices of pizza that the dieter can eat: the key is portion control, and eating these “treats” in moderation. Personally, I like my diet better and it is free. I have no book to sell. Just do a search on “Rules” on my blog and a bunch of rules will pop up. Still have kept the weight off for two years now! 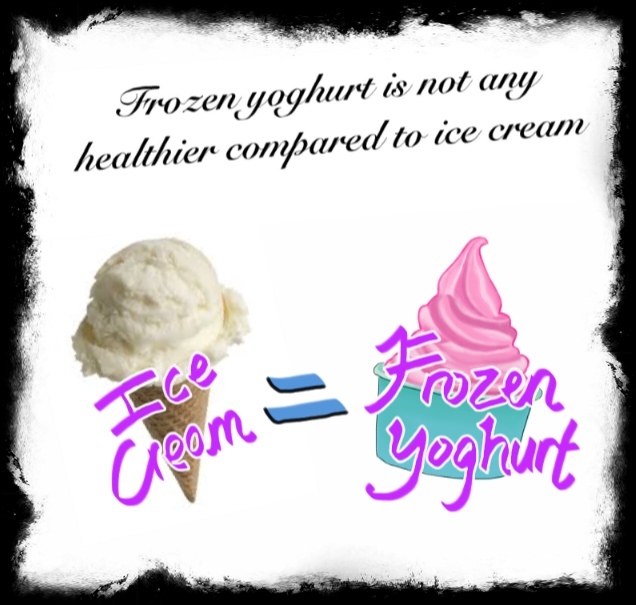 Frozen Yogurt: Good Replacement for Ice Cream in a Diet? more bad things added to make up for the lack of fat in food. 30g to 54g of carbs for frozen yogurt! A lot for a snack. Leaves little for dieting the rest of the day. Many of the other yogurt shops are comparable in those numbers. PLEASE NOTE THAT THEIR NUMBERS ARE BASED ON HALF A CUP! is about 19g of carbs per half cup (38g for a small). at 36g of carbs and their no-sugar added is 14g of carbs. have it. It is basically about 2g of carbs per ounce. about 18g of carbs. Very low. 8 ounce cup vs. 34-54g for regular frozen yogurt. During the day at home or at the office, you might find yourself getting hungry. You are supposed to eat breakfast, (about 3-4 hours apart from your meals)lunch and dinner, but you are supposed to have three healthy snacks in-between and after dinner (about 3-4 hours apart from your meals). SIX PROTEIN MEALS IN ALL PER DAY! Healthy protein snacks/meals can help normalize your blood-sugar levels at crucial points in the day. If you reduce swings in blood sugar, it helps to curb cravings and keep you on a successful weight-loss track. I try to keep between 50-100g of carbs a day to lose/maintain weight. Most meats and cheeses have barely one carb in them. Nuts, Greek Yogurt and protein bars too have carbs. Look at labels…. Raw veggies, such as celery, green or red bell pepper strips, cauliflower, and broccoli florets. Use hummus or 2 tablespoons of natural peanut butter for dipping (2 tablespoons). Lean, reduced-sodium deli meats (turkey or chicken breast, roast beef, boiled ham), about 4 ounces. Part-skim mozzarella cheese sticks (no more than 2 sticks or low-fat mini Baby Bells). Nuts (15 almonds, 20 peanuts, or 30 pistachios, or about 1/4 cup of any nut, is a serving), but be sure to stick to one serving and count it toward your daily protein. OR Sunflower seeds (3-tablespoon serving; count these toward your daily protein. Low-Carb Protein bars or drinks. Look at the labels. Try not to go higher than 20g of carbs. Do not eat on the run. Go shopping on the weekend if you are too busy and buy stuff for the week and put what you need for each day aside the night before and have it ready to go for the morning. 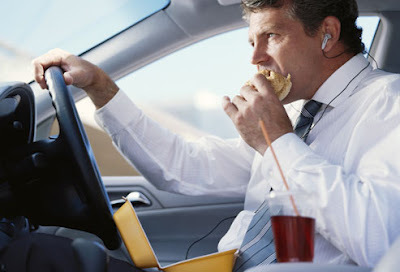 You can have stuff to eat in the car if you have to do it that way, but PREPARE and don’t buy crap at drive-thru places, where you are likely to succumb to cravings or smells. Learn to do this daily and it will become habit, a way of life and you are more likely to get and stay skinny! I think one of the biggest issues is needing to have snacks to watch TV. I have had issues with this in the past too. I wish I had blogged about it for Superbowl Sunday, but I didn’t remember because I don’t watch the Superbowl…but I do watch TV. So 10 ways that are the best way to deal with snacking. 1. Eat your protein-based meal before your show and you won’t be so hungry. Lean protein not only curbs hunger, it also allows you to maintain muscle mass and keep your metabolism revved while losing weight. 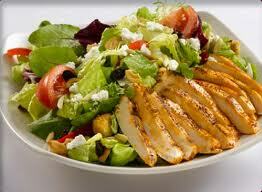 Eating lean protein throughout the day also helps keep blood sugar levels steady, which helps keep cravings in check. 2. Exercise earlier in the day to decrease your appetite and burn off what you do eat. Exercise keeps your metabolism burning for the rest of the day and into the next. 3. Get the kind of chips for yourself that are pre-packaged, pre-measured, high protein, low carb. Go to a website like Carbesstentials.net or Netrition.com, or even Lindora for their chips. Use it as a meal replacement for your sixth meal of the day (not in addition to your six protein meals) http://store.lindora.com/index.php/tasty-treats/barbeque-crunch-o-s.html or http://store.lindora.com/index.php/tasty-treats/cheddar-cheese-double-bites.html, among other choices on their site. Anyone can buy. You don’t have to be a member. Also, nuts are good, just count out what you want and put only that amount out. 4. Try any of the protein choices I mentioned in this blog. 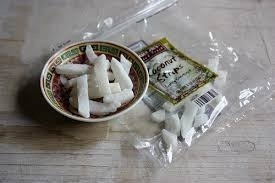 https://skinny-rules.com/2013/01/26/high-protein-snacks/ (rolled up turkey and cheese slices are good!) Also, try this: Make low-carb deviled eggs. https://skinny-rules.com/2013/02/05/deviled-eggs-that-taste-good-but-have-less-devilish-carbs/ YOU CAN EVEN MAKE SOME DELISH GRILLED SEASONED CHICKEN INSTEAD OF FRIED CHICKEN or a delish salad with grilled chicken. Use your imagination. 5. Drink a lot of sugar-free fluids. I drink coffee, it is hot, tasty and filling. There is also hot tea, etc. 6. 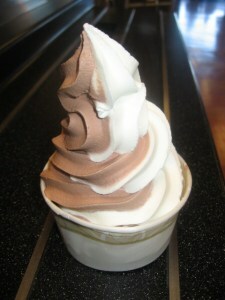 I have a higher protein, low carb ice cream replacement (like Carbolite) as my last protein of the day during the show. 8. Try to stay away from the crappy high carb junk that others are eating and put the good stuff in front of you. 9. Put out a tray of good veggies and a low carb dip. Dip sparingly. 10. Just find time to prepare and do something and don’t whine the next day that you didn’t lose weight or you had gained weight.